Everybody will tell you that the handmade gifts are the best ones. Ask any rich person and if they are not a jerk, they will tell you that they wish for something you made because those are truly personal gifts. Today I have perfect little DIY project for you, that is very easy to make and still is on a budget. 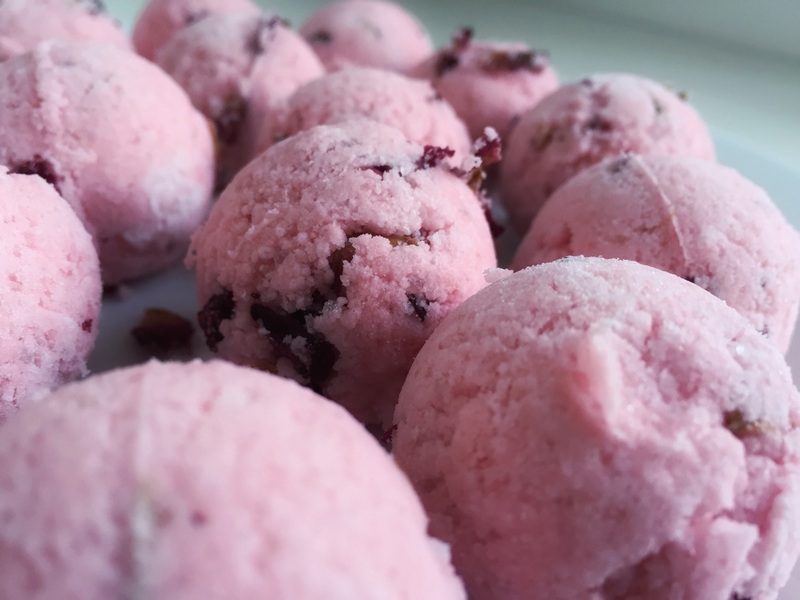 These fizzy bath bombs are perfect for a friend, colleague, classmate, cousin, whoever enjoys hot bath. Add few drops of aroma oil and coconut oil. Mix water with the coloring and spray the mixture once at a time. Be careful not to add too much water otherwise you'll activate the fizzing reaction and the mixture won't stick together. If the mixture is too wet, add more soda. Press the mixture into a form you dipped in baking soda in advance (the mixture will be easier to get out) and fill it in. Let dry over night and put into some nice wrapping. Done!